The history of Chateau Brown dates back almost 1,000 years! Vines were first planted at this location around 1200 BC! The estate takes its name from one of its earlier owners, John Lewis Brown, who moved to Bordeaux from Scotland during the later part of the 18th century. John Lewis Brown also owned Chateau Cantenac Brown in the Margaux appellation. However, the modern age for Chateau Brown starts in 1939, when it was purchased by Andre Bonnel. The estate stopped producing wine at some point during the 1950’s and the vineyards fell into a dilapidated state. Chateau Brown was sold to Jean-Christophe Mau in 2004. The Mau family were well established in Bordeaux as the owners of a large Bordeaux wine negociant firm. They also owned Chateau Preuillac in the Medoc appellation until late 2014. Within a few years of purchasing Chateau Brown, the family sold their interests in the negociant company and focused their efforts on improving the Bordeaux wine produced by Chateau Brown and their other estates. To aid in this effort, the family hired the famed wine consultant, Stephane Derenoncourt. In 2018, Chateau Brown earned their HVE (High Environmental Certification), due to their extensive commitment to green farming. To coincide with this, they also updated their label design. To celebrate this, the estate updated their labels with a new design, starting with the 2016 vintage. The 31 hectare vineyard of Chateau Brown hs 26.5 hectares planted to 65% Cabernet Sauvignon, 30% Merlot and 5% Petit Verdot for the production of red wine. Chateau Brown maintains 4.5 hectares of Bordeaux white wine grape varietals which consist of 70% Sauvignon Blanc and 30% Semillon. The vineyard is planted to a vine density of 7,200 vines per hectare. The vines are on average, 20 years of age. The terroir is gravel based, with some clay, sandstone and iron deposits in the soil. 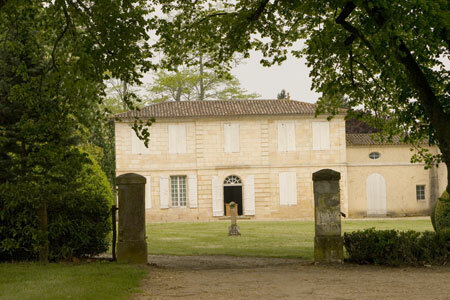 In addition to the vineyards, Chateau Brown has 30 hectares devoted to trees, parkland, beehives and gardens. To produce the red wine of Chateau Brown, vinification takes place in large, 100 hectoliter, temperature controlled, stainless steel vats and aged in 33% to 40% new, French oak barrels for between 12 and 16 months, depending on the style and character of the vintage. To produce the white Bordeaux wine of Chateau Brown, fermentation takes place in smaller, 50 hectoliter, stainless steel vats. The white wines are aged in 50% new, French oak barrels for an average of 8 months. There is a second wine which is sold under two different names, for both the red and white wine of Chateau Brown; Le Colombier de Brown and La Pommeraie de Brown. On average, Chateau Brown produces close to 5,000 cases of red Bordeaux wine per vintage from their Pessac Leognan estate and less than 300 cases of white wine per year. The Best Vintages of Chateau Brown are: 2018, 2017, 2016, 2015, 2014, 2012, 2010, 2009 and 2005. Chateau Brown can be enjoyed on the young side with decanting. Young vintages can be decanted for an average of 1-2 hours, give or take. This allows the wine to soften and open its perfume. Older vintages might need very little decanting, just enough to remove the sediment. Chateau Brown is usually better with at least 5-8 years of bottle age. Of course that can vary slightly, depending on the vintage character. Chateau Brown offers its best drinking and should reach peak maturity between 9-20 years of age after the vintage. Chateau Brown is best served at 15.5 degrees Celsius, 60 degrees Fahrenheit. The cool, almost cellar temperature gives the wine more freshness and lift. The red wine of Chateau Brown is best served with all types of classic meat dishes, veal, pork, beef, lamb, duck, game, roast chicken, roasted, braised and grilled dishes. Chateau Brown is a perfect match with Asian dishes, hearty fish courses like tuna, mushrooms and pasta as well as cheese. The white wine of Chateau Brown is a perfect wine to serve with shellfish, sashimi, sushi, all types of seafood, chicken, veal and cheese. Juicy, bright, crisp lemons, grapefruit, vanilla and florals are here from start to finish. Medium-bodied and ready to go, drink this over the first few years of life for the maximum amount of fruit and freshness. The wine is loaded with ripe, fresh, bright lemons, grapefruit and a hint of orange blossom. Fresh, lively and crisp, you'll find hints of green apple in the finish. Medium bodied, juicy and forward, there is a groovy smoky character to the red fruits. Tobacco leaf and herbs kick in on the back end. The wine will benefit from a few years of bottle age. Medium bodied, juicy, smoky, ripe, dark fruits, lush textures, polished tannins and a supple, smoky finish. Ripe yellow citrus and honeysuckle, with round, sweet, green apple and notes of pomelo in the finish. Crisp, bright, fresh citrus, vanilla, stone and a zippy, sweet pomelo finish shine through in this stylish, well-priced, white Bordeaux wine. With a nose of coffee, smoke, blackberry and crème de cassis, this blend of 70% Cabernet Sauvignon and 30% Merlot produced a wine offering round textures, soft tannins and a ripe, spicy dark berry and jam filled finish. A charming Pessac Leognan with smoke, dark cherries, cassis and earthy scents. Medium/full bodied with soft textures, the wine finishes with round, spicy plum sensations. This is already drinking well. This will not make old bones. I'd drink it over the next 5-8 years.